Love Apple products and need a work from home job that doesn’t require you to be on the phone? You may want to check out the Apple Work at Home Jobs. You can also check out our other text chat operator jobs from home. When looking for a work from home job, it is always nice to come across a company name that you know. Big name companies, like Apple, who make the choice to use telecommuters help further the options available to work from home employees. Apple has been praised for hiring work from home employees for some time now and is currently hiring for the work at home advisor position. What Apple Work at Home Jobs are Available? The main Apple work at home job usually available is called an at-home Advisor position. Basically it is a customer support position that operates through online chat. Agents assist customers with technical support and general customer service issues related to iTunes. Multi-tasking, organization skills, and troubleshooting experience is desired. This position comes with competitive pay, benefits, employee discounts, and participation in the company stock plan. This position is hired for internationally and some of the job postings require you to be fluent in another language in order to assist customers in that country. What are the Requirements for Apple Work at Home Jobs? This information below is direct from the Apple job website from a recent job posting for At-Home Advisors but the job descriptions and requirements do change from time to time so be sure to check the website directly as well. We’re looking for tech savvy people who can install, maintain, and troubleshoot personal hardware and software. You should be able to multitask across systems and applications, analyze and resolve a variety of complex technical issues, and comfortably navigate a Windows environment. You’ll need excellent verbal and written communication skills, as well as the ability to effectively prioritize and manage your time. Because you’ll work independently from home, you’ll need the discipline and ability to work remotely from coworkers and management. 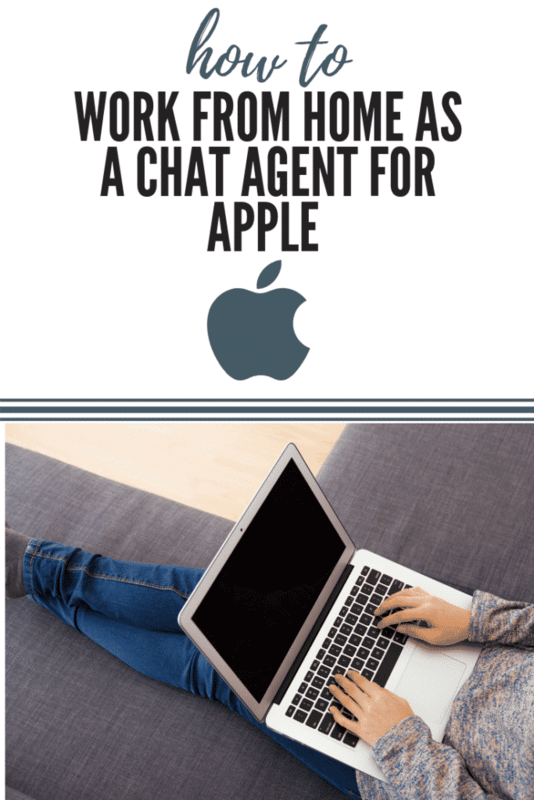 How Do I Get Hired for Apple Work at Home Jobs? The position does require you to have high speed internet but another great thing about this job is that Apple will send you a laptop if you are hired. If interested, visit the Apple website to apply. You can use the keyword box to search for “advisor” positions or “work from home” positions to see what positions are currently available. If nothing is showing available right now then check back soon as this position pops up frequently on their job site.